Many safety-critical parts, such as gun barrels and steam generator tubing, are subject to corrosion and/or pitting with extended use. It is important to both remove worn parts before they cause damage and avoid replacing parts that are still safe and useful. LTC's Laser MicroMap™ system is ideal for inspecting parts subject to corrosion and pitting to determine their condition. Our laser surface mapping sensors can provide a 3D map of the part surface, allowing precise measurement of the amount of remaining material. In particular, our Laser MicroMap™ Tube Inspection system is ideal for internal corrosion monitoring of tubes and pipes. 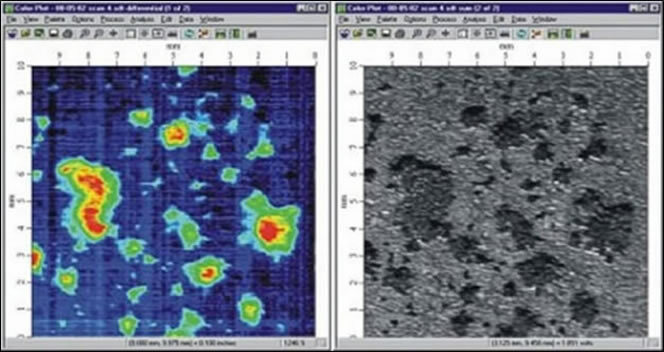 Our LaserViewer™software contains tools for statistical analysis of all or part of a scan, and the file comparison feature enables quantitative comparison between parts or over time. 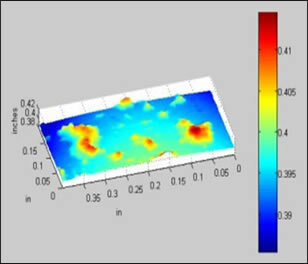 In addition, the LaserVideo™ image generated by the laser mapping sensor provides important qualitative information about surface features that cannot be measured by laser profiling, such as discoloration and surface roughness.